The CEB side channel units offered by SIHI are the low noise design of combination pumps which are proven to be excellent for pumping liquids that are stored at their boiling point, which have a degree of entered gas, or very low NPSH conditions. 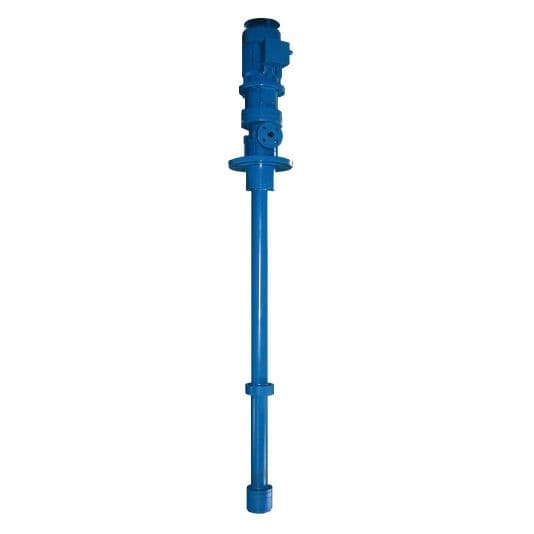 The vertical tank pump is designed to enable retro-fitting into most common tanks. In addition, the dimensions are so designed that the unit can be used to replace submersible pump designs. Though the pump can be supplied in other lengths, the standard size is between 1.3 and 3.0 m.
The units are found extremely beneficial in various applications such as vertical, extended tank pump basically for handling liquids that are either boiling or stored at their vapor pressure. They are particularly suited to LPG at car filling stations. One of the essential features of this side-channel type of pump is the special suction impeller that needs extremely low levels of NPSH. CEB pumps are particularly intended for use with liquefied petroleum gas (LPG).